Rebecca Thorn married Garner C. Bobo, son of Garner Bobo and Rachel Quick, on 20 May 1872 at Berryville, Carroll, Arkansas, USA. Her married name was Bobo. Francis Jan Throckmorton was born in 1875. John Throckmorton married Margaret Bobo, daughter of Nehemiah G. Bobo and Nancy Wood, on 21 May 1870. Kenneth Throckmorton was born in 1897. Nancy Throckmorton was born in 1871. Samuel C. Throckmorton was born in 1876. [S282] 1820 U.S. Census, http://www.ancestry.com, Page: 118. George Leroy Todd was born in 1893. He married Iva Denbow, daughter of Elisha Sherman Denbow and Laura Anna Jones, in 1913. [S79] Ohio Department of Health, Ohio Death Records, Certificate: ; Volume:. [S77] U.S. Census, http://www.ancestry.com, Year: 1910; Census Place: Goshen, Tuscarawas, Ohio; Roll: T624_1236;Page: 4B; Enumeration District: 118; Image: 363. [S78] 1860 U.S. Census, unknown repository address, Jefferson, Tuscarawas, Ohio, Year: 1860; Census Place: Goshen, Tuscarawas, Ohio; Roll: M653_1042;Page: 113; Image: 227. [S71] 1900 U.S. Census, http://www.ancestry.com, Bureau of the Census. Twelfth Census of the United States, 1900. Washington, D.C.: National Archives and Records Administration, 1900. T623, 1854 rolls., Year: 1900; Census Place: New Philadelphia, Tuscarawas, Ohio; Roll: ;Page: ; Enumeration District: . [S73] Unknown record type, 700 Pennsylvania Ave., NW, Washington, District of Columbia, USA, Year: 1880; Census Place: Warren, Tuscarawas, Ohio; Roll: T9_1072;Family History Film: 1255072; Page: 371.1000; Enumeration District:232; Image: 0578. [S74] 1870 U.S. Census, 700 Pennsylvania Ave., NW, Washington, District of Columbia, USA, Clay Township, Knox County, Dwelling# 105, Family# 105, Year: 1870; Census Place: , , ; Roll: M593. [S10] Thomas W. Thompson, Thompson Genealogy, Page 2, Denbow Section. [S167] 1880 U.S. Census, 700 Pennsylvania Ave., NW, Washington, District of Columbia, USA, Census Place: Warren, Tuscarawas, Ohio, Enumeration District: 232. [S168] 1900 U.S. Census, 700 Pennsylvania Ave., NW, Washington, District of Columbia, USA, Goshen Twp, New Philadelphia, Tuscarawas, Ohio; House# 131 (Not at Claimed Street). [S182] 1910 U.S. Census, http://www.ancestry.com, Enumeration District: 118, Goshen, Tuscarawas, Ohio. [S170] 1880 U.S. Census, Martinsburg, Knox, Ohio, Roll: T9_1038;Family History Film: 1255038; Page: 152.2000; Enumeration District:151; Image: 0307. 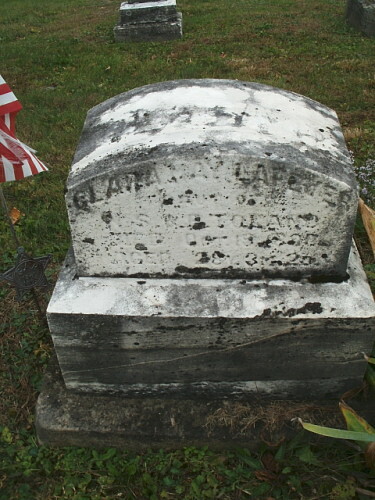 Clara M. Toland was born on 16 July 1862 at Ohio, USA.1 She lived in 1870 at Clay, Knox, Ohio, USA.2 She lived in 1880 at Martinsburg, Knox, Ohio, USA.3 She was also known as Clara M. Lafever. She married James L. Lafever on 5 October 1881 at Knox, Ohio, USA; The return date on the marriage application appears to be "5th" of October, but it could be the 3 rd, and thus the same day as the application. 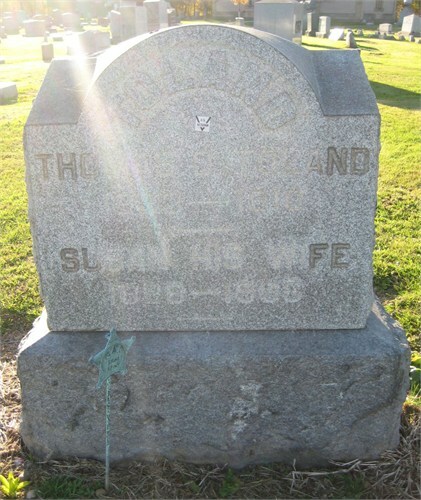 I going with my best guess here.1,4 Clara M. Toland lived in 1885 at Salem, Richardson, Nebraska, USA.1 She died on 19 October 1890 at Knox, Ohio, USA, at age 28. [S75] U.S. Census, 700 Pennsylvania Ave., NW, Washington, District of Columbia, USA, Year: 1920; Census Place: Kansas City Ward 16, Jackson, Missouri;Roll: T625_928; Page: 9B; Enumeration District: 259; Image: 771. [S76] 1905 Census, http://www.ancestry.com, 905 Kansas State Census. Microfilm reels K-1 - K-181. Kansas State Historical Society. [S73] Unknown record type, 700 Pennsylvania Ave., NW, Washington, District of Columbia, USA, Year: 1880; Census Place: Martinsburg, Knox, Ohio; Roll: T9_1038;Family History Film: 1255038; Page: 152.2000; Enumeration District:151; Image: 0307. [S71] 1900 U.S. Census, http://www.ancestry.com, Bureau of the Census. Twelfth Census of the United States, 1900. Washington, D.C.: National Archives and Records Administration, 1900. T623, 1854 rolls., Year: 1900; Census Place: Falls City, Richardson, Nebraska; Roll: ;Page: ; Enumeration District: . [S77] U.S. Census, http://www.ancestry.com, Year: 1910; Census Place: Kansas Ward 16, Jackson, Missouri; Roll:T624_789; Page: 6A; Enumeration District: 187; Image: 327. [S173] 1910 U.S. Census, 700 Pennsylvania Ave., NW, Washington, District of Columbia, USA, Kansas Ward 16, Jackson, Missouri. [S172] U.S. Census, 700 Pennsylvania Ave., NW, Washington, District of Columbia, USA, Kansas City Ward 16, Jackson, Missouri. [S73] Unknown record type, 700 Pennsylvania Ave., NW, Washington, District of Columbia, USA, Year: 1880; Census Place: Jefferson, Tuscarawas, Ohio; Roll: T9_1072;Family History Film: 1255072; Page: 172.4000; Enumeration District:221; Image: 0177. [S50] 1840 U.S. Census, 700 Pennsylvania Ave., NW, Washington, District of Columbia, USA, Harrison County, Ohio, Year: 1840; Census Place: , Harrison, Ohio; Roll: 402; Page: 199. [S78] 1860 U.S. Census, unknown repository address, Jefferson, Tuscarawas, Ohio, Year: 1860; Census Place: Jefferson, Tuscarawas, Ohio; Roll:M653_1042; Page: 200; Image: 402. [S50] 1840 U.S. Census, 700 Pennsylvania Ave., NW, Washington, District of Columbia, USA, Harrison County, Ohio. [S171] Mark Fletcher, "Mark's research", Tuscarawas County Cemeteries Volume III, DOD: Jan 23, 1896, Aged: 76y 11m 23d. Gabriel Toland was born in 1829. 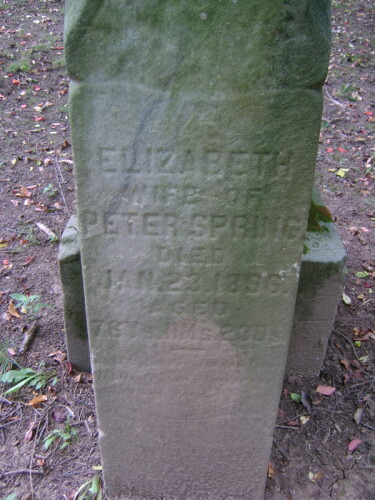 He died in 1852 at Stone Creek, Tuscarawas, Ohio, USA. Nicholas St. Clair Toland M.D. Thompson copied this obit from an original in the possession of: Miss Dora Spring (daughter of Gary Spring) 467 North Broadway, New Philadelphia, Ohio.9 He was buried on 26 February 1917 at Martinsburg, Knox, Ohio, USA. [S68] 1880 U.S. Census, unknown repository address, Page: 152.1000; Enumeration District:151; Image: 0306, Year: 1880; Census Place: Martinsburg, Knox, Ohio; Roll: T9_1038;Family History Film: 1255038; Page: 152.1000; Enumeration District:151; Image: 0306. [S175] Certificate, Tolland-Ewart marriage of 18 Jul 1889. [S178] 1900 U.S. Census, http://www.ancestry.com, Twelfth Census of the United States, 1900. Washington, D.C.: National Archives and Records Administration, 1900. T623, 1854 rolls. [S179] 1910 U.S. Census, http://www.ancestry.com, Thirteenth Census of the United States, 1910 (NARA microfilm publication T624, 1,178 rolls). Minnie Tornow was born in 1869. She was also known as Minnie Zempke. She died in 1947. Kate Treadgold was born in 1874. She died in 1950 at Painesville, Lake, Ohio, USA. Maggie Treadgold was born in 1877. She was also known as Maggie Beverley. She died in 1928 at Painesville, Lake, Ohio, USA. Lottie T. Treadwell married Jarvis Newton Bobo, son of Jared Bobo and Lavinia Kanny, on 3 April 1872 at Ohio, USA. Her married name was Bobo. Beulah Anita Troxler was born on 18 February 1911 at Tennessee, USA. She married Norman Theodore Bobo, son of John Pearl Bobo and Julia Ann 'Dolly' Scruggs, after 1918; Divorced. Her married name was Bobo. Beulah Anita Troxler died on 17 December 1988 at age 77. 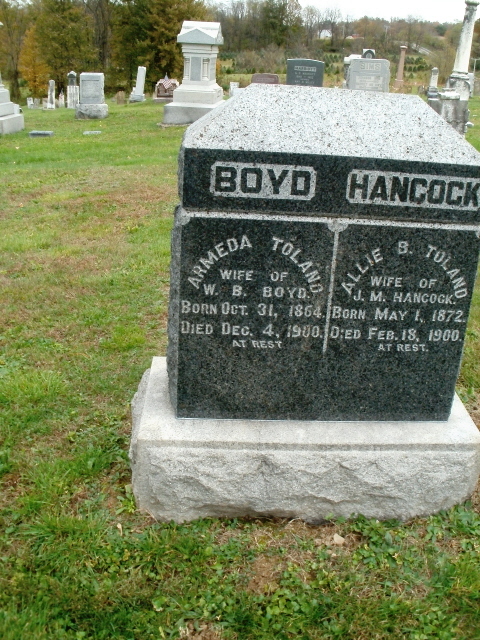 She was buried at Athens, Limestone, Alabama, USA. (?) (?) was also known as (?) Beverley. Louis Koetz was born in 1860 at Columbus, Franklin, Ohio, USA. He married Nellie Chamberlain on 4 September 1879 at Franklin, Ohio, USA. Louis Koetz died on 24 October 1929.